Inflation is a bit tricky for many people. I'll try to explain it as simply and clearly as I can, but some eyeballs still may roll. Unfortunately, any time you're trying to make decisions about financial matters that extend out more than a few years, whether for investing, for income, or for expenses, inflation becomes a necessary factor to consider. If, for example, your personal and household expenses go up by 3% per year, then in ten years they would be higher by 34% (annual compounding makes this more than simply 10 x 3%). That means something that cost $100 today would cost $134 in ten years, using 2026 dollars. But its real value remains the same - $100 in today's dollars. Turned around, it means that in 2026, $134 dollars would only buy what is today $100 worth of goods. That shows that the value of the dollar (measured by the real worth of what it can buy) is shrinking by 3% per year. Today's $100 stashed away under a pillow for ten years, would only buy goods worth $74 today: 74% , calculated by dividing 1 by (100% + 34% = 134%). That means that $74 in today's dollars would be equal to $100 in 2026 dollars: 74 times (100% + 34% - 134%). This means there are two kinds of money: "Real Money" and "Nominal Money." Real money is the value of money according to what it can buy. A quart of milk in 20 years is still a quart of milk; its value doesn't change. Real money is the value of money after compensating for inflation; it is also called "today's dollars." Nominal money is just the face value of the bills, and ignores the annual shrinking of their worth from inflation. 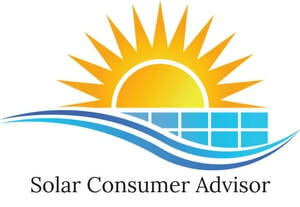 For the purposes of purchasing a solar, photo-voltaic (PV) system, the effects of inflation are twofold. First, inflation offsets utility rate increases. If these rates increase by 3% per year but inflation is also 3% per year, your real cost of electricity doesn't go up at all. The 3% inflation undoes the 3% rate increases. If inflation is only 2% per year, these 3% Nominal rate increases are only 1% Real rate increases. On the other hand, if inflation is 4% and rates increase 3%, rates are really going down by 1% per year. The second effect of inflation on purchasing PV systems is that it makes financing a PV system more attractive than paying cash. If you pay for your system in cash up-front, you are naturally using today's dollars. But if you finance the system, the loan payments you make over time are in future dollars whose face value stays the same, but whose Real value is shrinking from inflation. For example, if your payments are $100 per month, ten years from now they are really only $74 per month in today's dollars. So your payment has shrunk by $26 in today's dollars, which is what counts because it is based on Real value. If you financed the example $18,440 system (that safely zeroes out $200/mo. SCE bills on an ideal house) for 20 years at a moderate interest rate (4.74%), then 3% inflation over that time period would save you $4,885 in today's dollars. At a fairly high but common interest rate of 8.25%, 3% inflation would save you $8,500. This makes the point that when you borrow money, inflation is your friend, especially if the loan payments and interest rate are fixed. If the payments and/or interest vary with inflation, you still continue to get some benefit from inflation, just not as much. Loan rates all take inflation into account. When inflation is high, loan rates go up accordingly. So if you have a variable-interest-rate loan, your rates will go up and down with the rate of inflation. This is not as bad as it looks to most people, because the higher interest rate is offset by paying the loan with dollars worth less. As with utility rate increases, most other solar calculators and estimators, including the ones used by the vendors, get this factor wrong. Most ignore it completely, which distorts your costs and savings greatly over even ten years, much less 20 to 50. For example, again using the $18,440 net-cost system with realistic 3% estimates for both SCE rate increases and inflation, the 20-year SCE costs without solar would be $48,000, and the maximum savings (with best financing) $37,200. But if the 3% for SCE rate increases is left in and the 3% inflation is left out (which is what most other estimators do, including what you'll probably see on your quotes), SCE costs without solar would jump by almost $16,500 and savings by almost $13,000. These exaggerated figures are treating future dollars as the same value as present dollars, which they won't be unless inflation is zero. Uniquely, the Solar Panel Cost & Savings Calculator takes these factors fully and accurately into account. The lesson is always to take inflation fully into account when forecasting costs, savings, or income into the future, beyond a few years.